As the New York Yankees get ready to play the final set of games for the 2018 season, they are in line to make MLB history. As of now, the Boston Red Sox and Houston Astros are the only teams in the American League to have one hundred wins in a season. The Red Sox have 107 and the Astros have 100. If the Yankees can win two out of three in Boston this weekend, they will join the 100-win club. I know you are probably asking why is this significant? In fact, if they can pull this off, it would be the first time in the history of Major League Baseball that there would be multiple teams in one league that have 100 wins in a season. It’s tough to get one team to get 100 wins, it’s impressive when there are three teams to pull this off. Personally, it would not shock me if it were to happen. Although both the Yankees clinched, they still want to go into October baseball on a hot streak. It helps that they are sending J.A. Happ, Lance Lynn, and Luis Severino to face the Red Sox this weekend. All three of them have pitched well and you want that at this time. Severino is looking for his 20th win of the season. When you look at it from the aspect of Boston, they don’t have much to play for at this point. As of this writing, they clinched home field advantage and the #1 seed in the playoffs. Therefore, they really have nothing left to do. Thus, in all honesty, I could see them sit some of the bigger names like J.D. Martinez and Mookie Betts. What people also forget is the New York Yankees have gotten back a lot of the pieces that make them tough. When we look back on it, the 2018 season for the Yankees may go down as one of the more historical seasons in the team’s 115-year history. 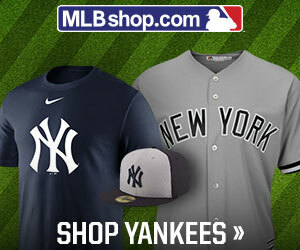 How do you feel about the possibility of MLB history possibly being made the New York Yankees? Leave a comment below. Stay with IroniqMedia for all of your MLB news, notes, and information.